Adelina Amouteru is a survivor of the blood fever. A decade ago, the deadly illness swept through her nation. Most of the infected perished, while many of the children who survived were left with strange markings. Adelina's black hair turned silver, her lashes went pale, and now she has only a jagged scar where her left eye once was. Her cruel father believes she is a malfetto, an abomination, ruining their family's good name and standing in the way of their fortune. 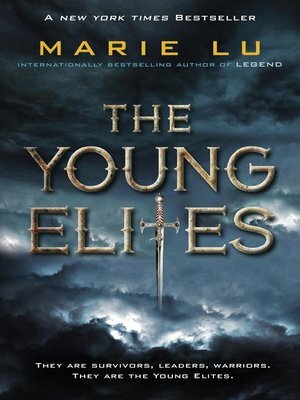 But some of the fever's survivors are rumored to possess more than just scars—they are believed to have mysterious and powerful gifts, and though their identities remain secret, they have come to be called the Young Elites.